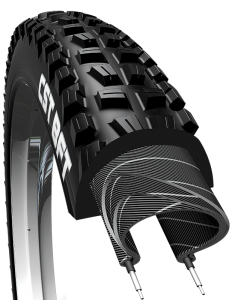 Pure-bred XC tires demand performance; the CST Beater delivers. Ramped and angled knobs roll fast, shed debris, and corner quickly, giving you the edge you need to win. The Beater is available with wire or folding bead with EPS puncture protection.